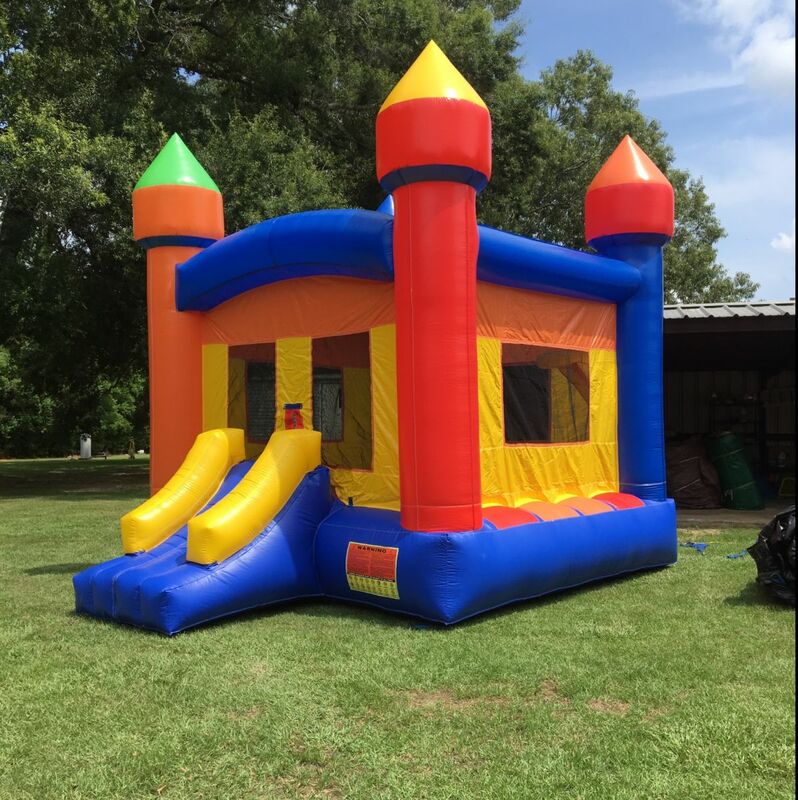 Rent this affordable bouncer combo for your next event! It's a 13' castle bouncer with a huge slide that's guaranteed to add excitement and fun to any child's day. Book early! At this price, it doesn't hang around long! 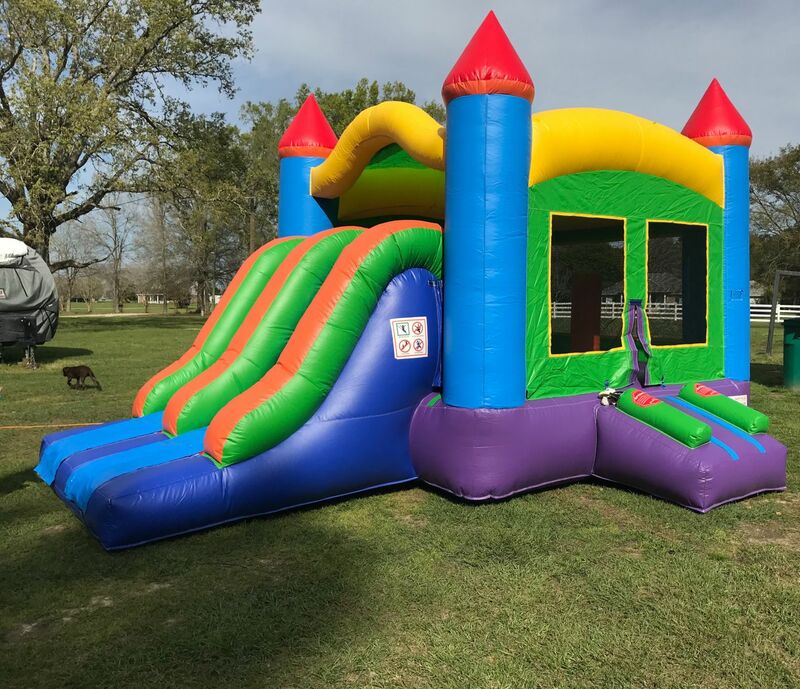 Rent this awesome 2 lane bouncer combo for your next event! It's a 13' castle bouncer with a huge 2 lane slide that's guaranteed to add excitement and fun to any child's day. Book early! At this price, it doesn't hang around long! 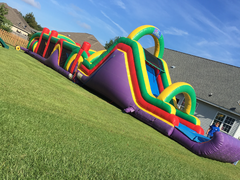 This "53ft Dry Blue Crush Obstacle Course" features many elements for adrenaline pumping races between participants as they run, jump, squeeze, slide, and crawl their way through the maze of obstacles. With two lanes, participants can face each other or the clock. This 75FT Dry Monster Crush Obstacle Course features many elements for adrenaline pumping races between participants as they run, jump, squeeze, slide, and crawl their way through the maze of obstacles. Participants can face each other or the clock. 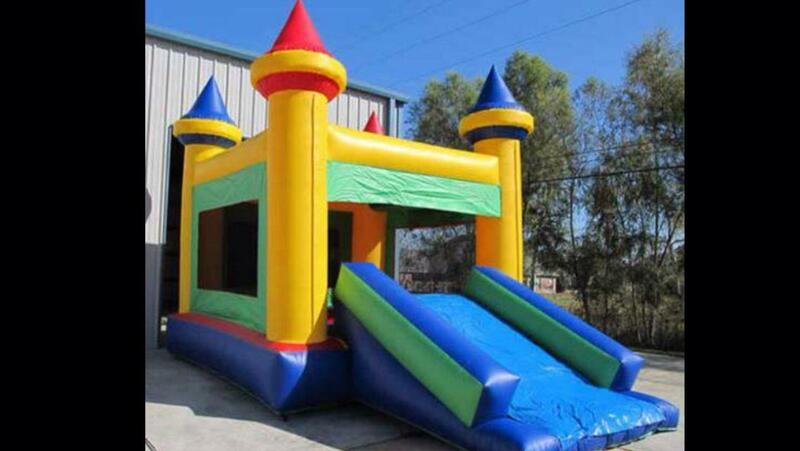 Be the “King of the Castle” in this Castle Bouncer from TNT! At this price, it doesn’t last long. Reserve yours today! Climb to the top and ride the Blue Laguna Waves down at your own risk! Fast & Fun for all ages. 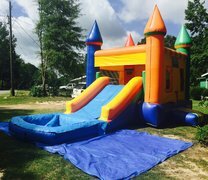 Party the whole weekend for only $40 more!!! 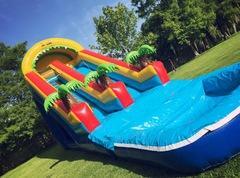 (2 Day Special $290) 22' Laguna Waves Dry lide!! 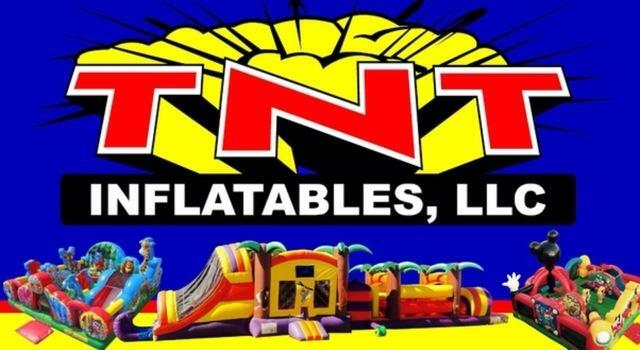 (14H x 13W x 27L) Need balloons for your party? Great for anytime of the year! 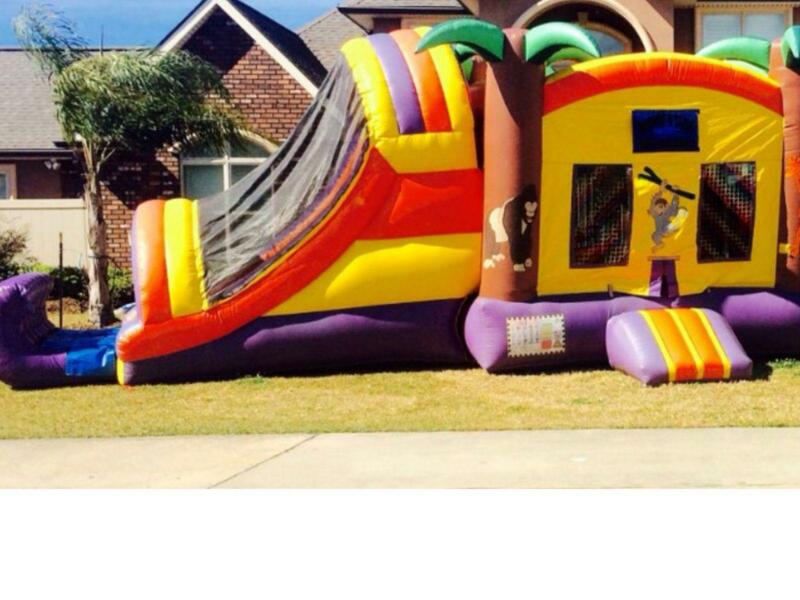 It's a bounce house complete with a basketball goal in it and dry slide. (14H x 13W x 27L) Are the little natives getting restless? How about a Jungle Adventure to keep them busy. Great for anytime of the year! 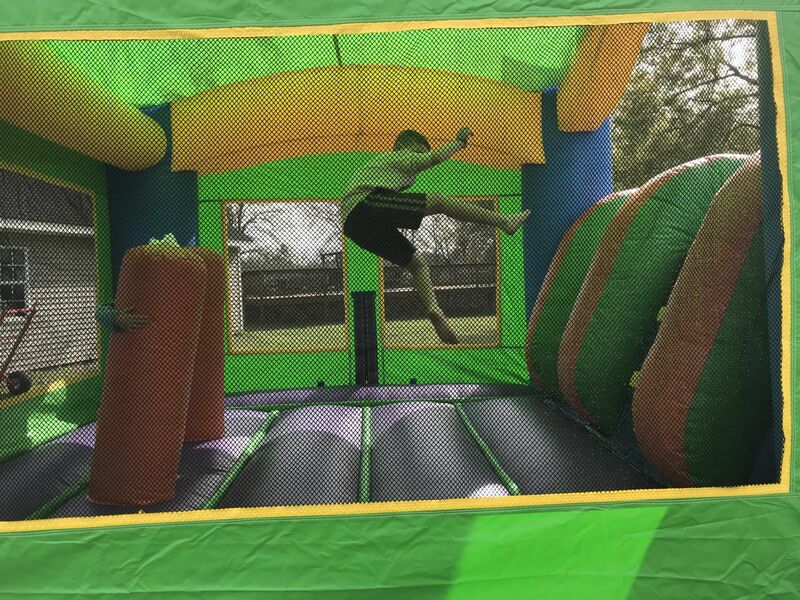 It's a bounce house complete with a basketball goals on the inside and outside! 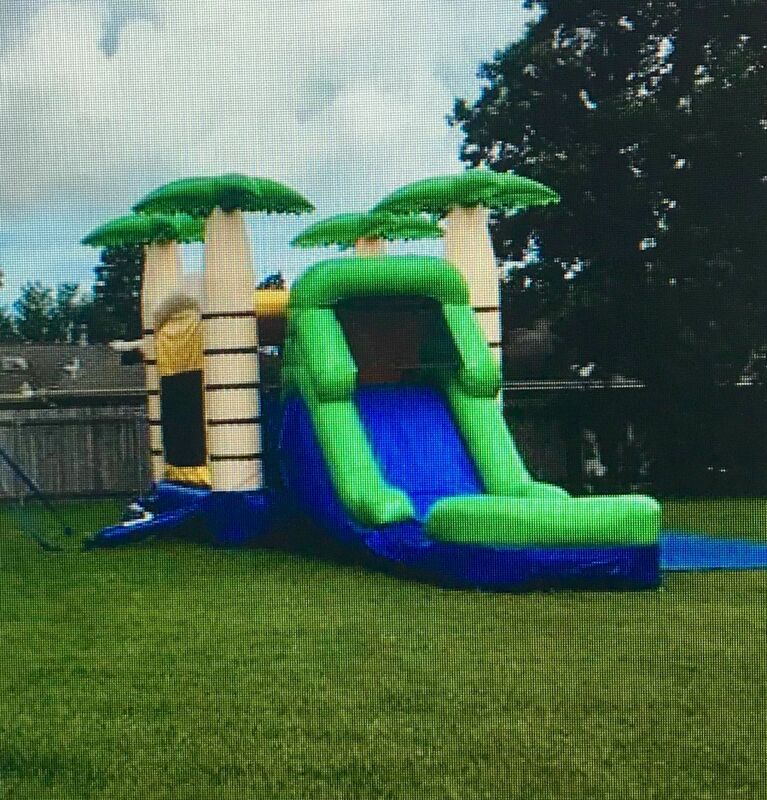 And a awesome dry slide. Enjoy a swashbuckling day of plundering and pillaging with your friends on this DRY PIRATE COMBO! 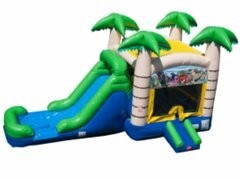 This combo features a pirate cave for buried treasure,and a large slide where kids can "walk the plank"!